Hello Everyone! We apologize for the delay since our last entry- however, we can say that it is because our business – Adobe Destinations, is booming! We are so grateful and appreciate all of our clients and their continued support in making us busy and successful! We promise to stay on tract going forward with our entries! Today’s fun friday is about St. Francis Cathedral. The Cathedral is beautiful! If you ever come to Santa Fe make sure to step inside and take a moment to be mesmorized by the beauty of this church. 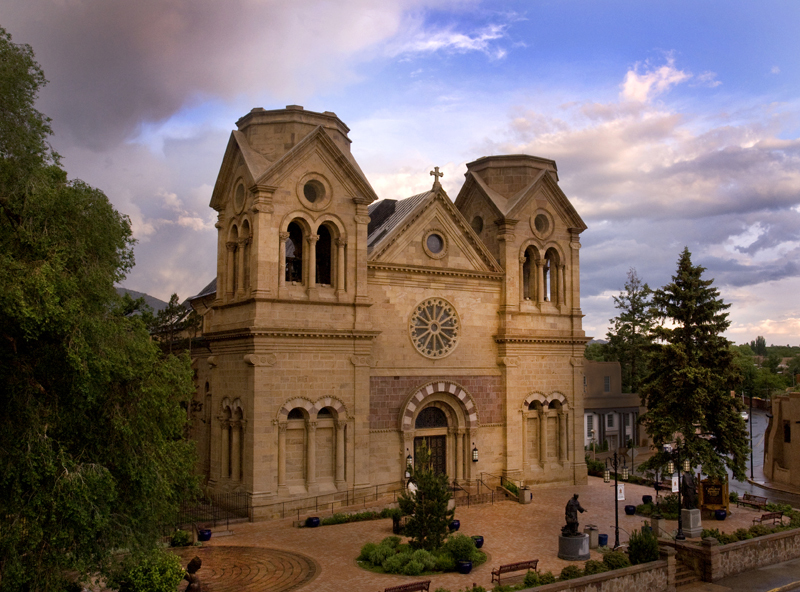 The Cathedral is considered a museum- this is the only museum in Santa Fe that is open 365 days a year and has free entry! This entry was posted in Uncategorized and tagged adobe, basilica, booming, business, cathedral, free, fun friday, museum, pope benedict, Santa Fe. Bookmark the permalink.